This really isn't a tech issue but didn't see any other suitable forum. 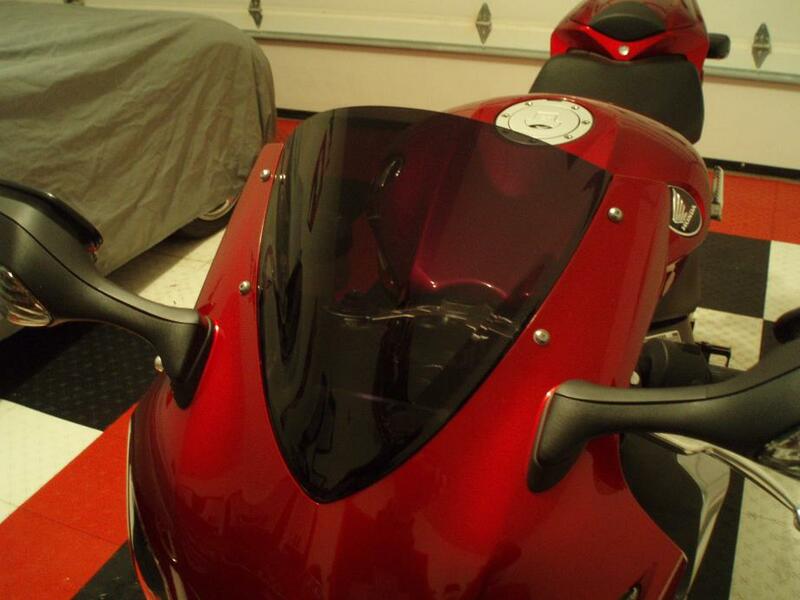 Anyone ever break one of the plastic tabs on the cowl that holds the windscreen on their 08 CBR1000RR? I foolishly applied to much strength and broke the tab on the left when installing a Sportech windscreen. Can it be Krazy glued will that hold tab enough to keep screen in place? Without the tab screen is not flush against cowl on that side. Thanks for any advice. mine was broken at the dealer before i took deilvery. Honda put out a service bulletin about it. you cant fix it, the whole fairing has to be replaced. my PUIG double bubble doesnt need the tabs to fit correctly. i would just buy a PUIG instead of a whole new fairing. I think we all know how I feel about these bikes by now, but yes mine broke right off, both of em when installing my Sport Touring Zero Gravity windscreen. Here's the kicker! . The guy at my Honda shop did it! . Even better is although the parts department guy broke it, they wouldn't fix it or replace my fairing! They said it was my fault for it not being a factory brand replacement. . All he said was "it was the first time he tried taking one off". . so I called the wonderful people at Honda & they said it was the dealership's descretion on whether or not to replace it. Don't know about you but I love some jackass who is supposed to know what he's doing breaking a part of my 2 day old $10,000 motorcycle! . Just one more fowl up on the 08's inferior craftmanship & Honda's lack of support to fix the situation. I agree with Tbagr... I have the puig screen also and I have no problem. I broke both of the tabs removing my stock screen from my old front cowl and realized how lackluster they were then, with the new cowl I broke them off on purpose when i put on my new puig screen.. I would venture to say puig realized this flaw and worked around it.. Broke both mine installing a Hotbodies Double-bubble style Dark smoke screen but still looks and fits pretty flush. I wondered why they didn't simply put two more windsreen bolts down there like most bikes. Honda put out a service bulletin on this. if they break it then they have to replace the whole upper fairing. they put out the bulletin BECAUSE the dealerships were breaking them. i would not settle for the answer they gave you. try, try again. 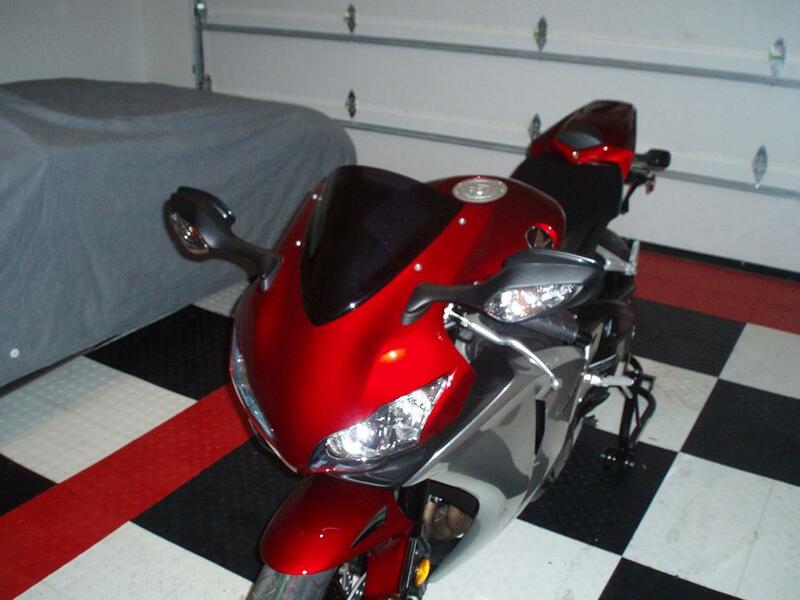 +1 I have a friend that had a 08 that did the same thing and the dealership replaced the upper fairing. try some automtive "goop" that they use to fasten emblems to cars. it is super strong. I have used it for numerous broken plastic tabs and it hasnt failed me yet. I think NAPA or any automotive store should have it. Comes in a Red metal like squeezable tube. Here's a hint on removing or installing a windscreen without breaking those fragile tabs. Loosen the two nuts holding each of the mirrors on. You do not need to remove them, just loosen. It gives you some more wiggle room when removing the stock windscreen. I just installed a Puig dark smoke screen two days ago using this method. I already knew about the fragile tabs and, although they're really not needed for the Puig, I didn't want to break them. I was very careful and it worked out well. I have to agree with ROADI..Loosen the mirrors I did on mine when I installed my new sportech windscreen, with no problems at all..